Brownsville no longer has an air show. 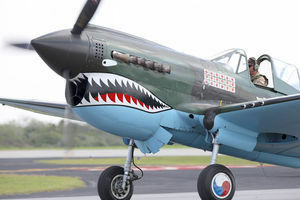 The Commemorative Air Force Rio Grande Valley Wing, the group that stages Air Fiesta every year and operates the CAF aviation museum, said it is being forced to leave the Brownsville South Padre Island International Airport and is looking for a new home. The group announced this morning that it’s in the process of finding a new location, because of the loss of support from the city in maintaining the CAF wing’s headquarters at the airport. Bryant Walker, airport director, said he was “devastated” to have to deliver the news, but said the city could no longer afford to subsidize the CAF’s presence at the airport.